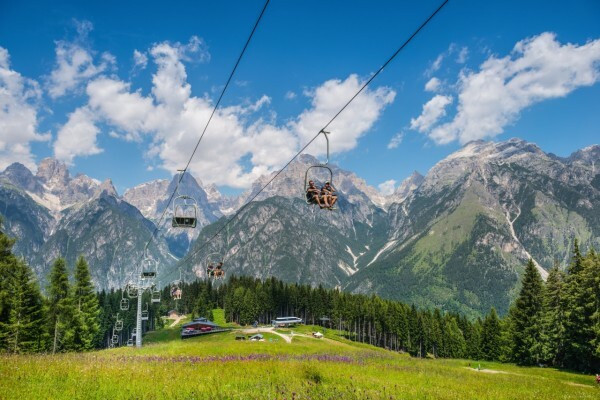 Two kilometres from the centre of Auronzo, to the right of the Ansiei river, is the Monte Agudo ski area which has become a tourist attraction over the years not just for winter but also for summer tourism. Its two ski lifts, one of which is a modern automatic coupled quad chair lift, take you from the starting point (Taiarezze, 900 metres above sea level) to Rifugio Monte Agudo (1573 metres above sea level) in just over 15 minutes. It is an optimal panoramic point over the town, its lake and the Auronzo Dolomites with a great view towards the Tre Cime di Lavaredo. Rifugio Monte Agudo is also on one variant of Alta Via number 5. The ski area’s restaurant options are many and varied and a range of foot and cycle tracks stretch out along the peak and slopes. Monte Agudo is also the location of the summer’s best entertainment attraction, its fun bob, the rail along which the bobs speed down from the upper chair lift station to the lower Taiarezze-Malòn station. The Col de Varda two-seat chairlift starts in Misurina at 1756 metres above sea level and takes you to Col de Varda at 2106 metres above sea level. 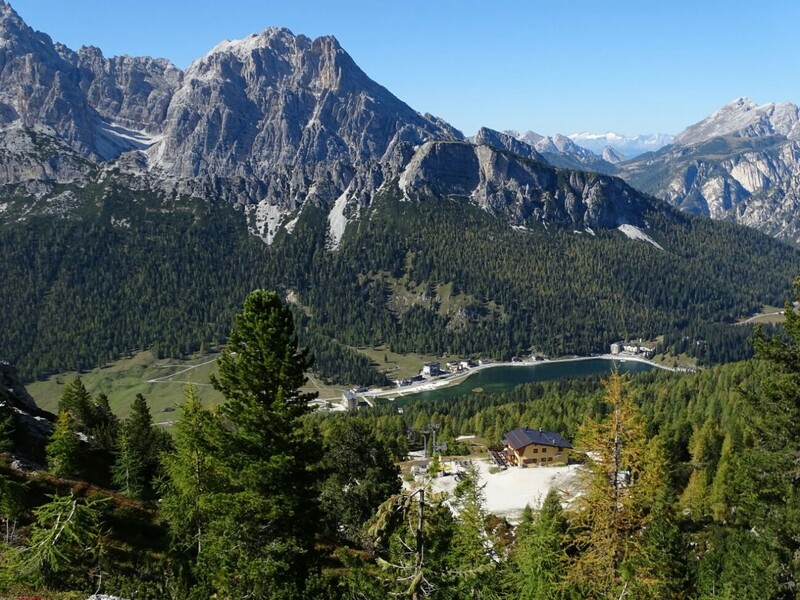 In just ten minutes you get off on one of the most beautiful panoramic terraces of the Dolomites with views over Lake Misurina and the mountains surrounding it from Mt. Cristallo to the Sesto Dolomites and the Cadini, Sorapiss and Tofane massifs. Col de Varda is an excellent starting point for a great many excursions in particular for those which take you into the spectacular Cadini di Misurina massif towards Rifugio Fonda Savio on one side and Rifugio Città di Carpi on the other. Rifugio Col de Varda is a stage on Alta Via number 4. The descent in mountain bike on the gravel road from the refuge to the lake is a high adrenalin one.